Available for loan in 2 – 4 week blocks, including teaching notes, discussion topics and object based activities. 2018 cost: $25 administration fee. Contact the Booking Officer (cmagbookings@act.gov.au) for more information on borrowing the suitcases, including details of our specially designed preschool teaching notes. 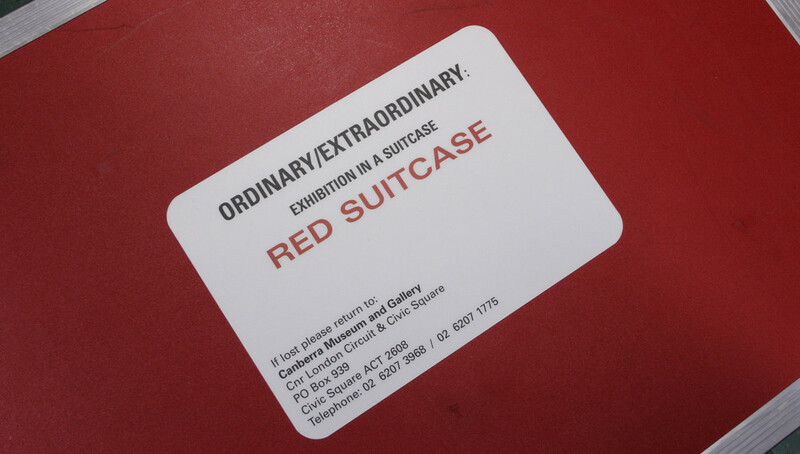 The suitcases can be collected from Canberra Museum and Gallery and will fit into the boot of a small hatchback with the back seat folded down, or the boot/back seat of a larger sedan. This project has been developed by Craft ACT in collaboration with Canberra Museum and Gallery. This suitcase contains a range of stunningly designed and made objects in glass, metal, ceramics, plastic and timber. Some of these use traditional techniques and others are made using hi-tech machines and materials.